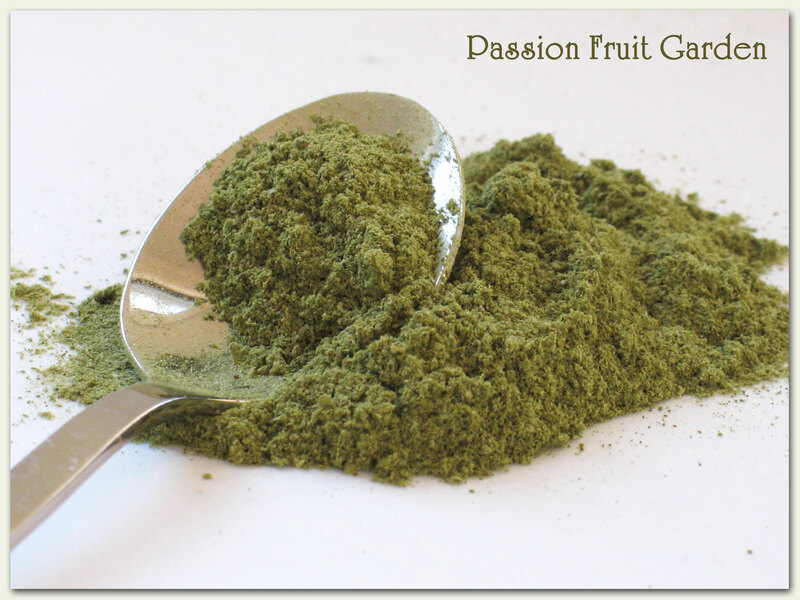 Remember my olive leaf powder? Well, this is what it looks like made up into soap. I looked at piles of sites on the web to work out how much powder to use and decided on two teaspoons per pound (450g) of soap. For my taste, this may have been a bit much – I would have preferred the soap a little paler. Of course, it could have been the recipe I used (the oils were a bit yellow) and discolouration from the fragrance oil. I will have to try a few alternatives of each, and see what happens. The soap is speckled, as I added the powder at trace. If you don’t want the speckled look you need to infuse the powder in some of the oil you are going to use to make the soap and then strain the oil through a coffee filter. 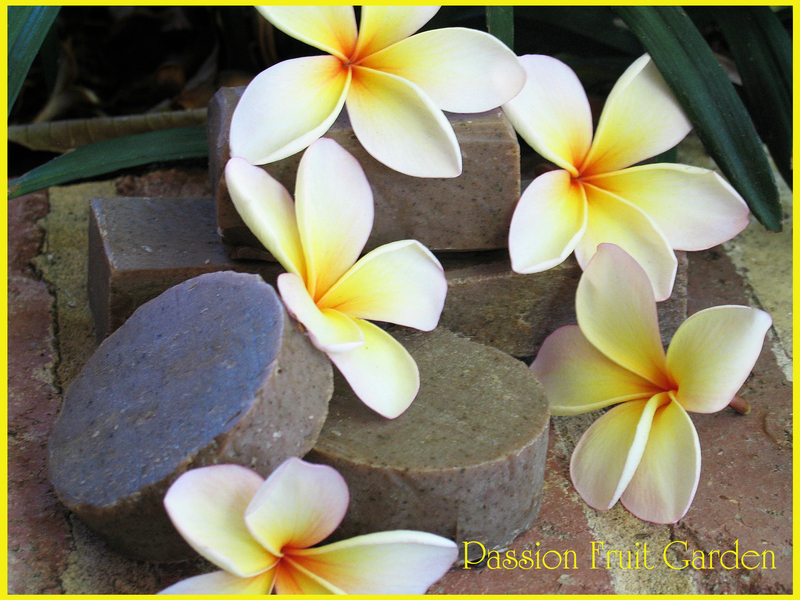 There are lots and lots of soap making sites that discuss natural colourants for soaps and infusing oils. I particularly like this post on infusing oils. I used a recipe from Anne Watson’s Smart Soapmaking for this batch. I used exactly the same technique as I used in my first foray into soap making. I now have 13 bars of soap curing in my back bedroom with the added bonus of the fragrance drifting through, and scenting, the whole house. Sounds all right, doesn’t it? Smells all right, too! My soap can only be described as rustic but I think this may be the type of soap I am going to like making. I like the muted colour that natural colourants give. I also like the speckled effect. Overall, I am pretty happy with the leaf powder. I will definitely use it again, although I might infuse it next time to see what that looks like. You may be wondering what it is with the frangipani flowers. There are three reasons for their presence. Firstly, I was outside trying to enhance the rustic look and was brushing the fallen frangipani flowers out of my photo (they are all over the backyard at the moment.) and then thought, what the heck. Rustic looking cakes of soap are not the most photogenic subjects. Thirdly, judging from some of the photos I have seen from northern hemisphere bloggers lately, they need a bit of sunshine up there and frangipanis, more than any other flower, epitomise the tropics, bathed in sunshine. This entry was posted in Soap making and tagged How to colour soap brown naturally, Natural colourants for soap, Olive green soap, Olive leaf powder by Glenda. Bookmark the permalink. the frangipani flowers are a delight, and I’m imagining their scent …. I’ve never ventured into making my own soap, I do use olive oil soap as I have excema and find it’s the only thing I can use, but I cheat and buy the oh so rustic looking Savon de Marseilles, and yes it can be oh so expensive too!!! Maybe I should reconsider and make my own, as I like the idea of them curing and enjoying the benefit of the scents through the house. Making your own soap is already impressive and the aromas must mean you don’t even need air fresheners! Hi thanks so much, I am working on making them a little bit less rustic. Oh Glenda they are simply gorgeous! I really like the speckles, it gives them character. Do they have a texture at all from the leaf powder or is it too fine to act as an exfoliator? 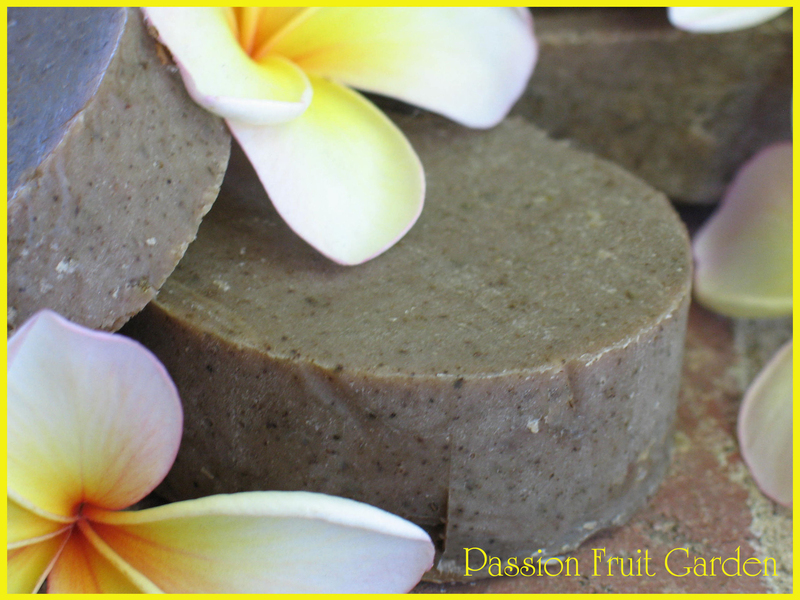 I love olive oil soaps, so gentle on the skin. Hi Deb, I don’t know if there will be any texture as you have to wait 4-6 weeks before you use it. I don’t think there will be much though as the powder was pretty fine. Hi guys, yes we are very well thanks. Celia, they are very ‘rustic’ looking but I am having great fun. I just want to make them a little less ‘rustic’ so I can hand them out to family and friends, otherwise the house will be bursting in soap. At least it is different to being bursting with tomatoes and cucumbers. Maus came back from Bridgetown today. She had about 20 cucumbers and three very large plastic containers of cherry tomatoes both of which I buddled up into trays and sent her off down the street to hand out to everyone. I can sure do cucumbers and tomatoes!!! Hi Anne, I thought you would appreciate a little bit of sunshine. I like the speckled look. Arabian Spice will discolour to really dark brown (depending on your usage rates), and discolouration continues over time, so don’t be surprised if they go a bit (or a lot) darker as they cure. It is a nice fragrance though isn’t it. Ella, they have so many fragrances, it is so hard to choose. Glenda, those soaps are beautiful. I too like that speckled look. I’ve wondered though – with the natural oils that you use, do the soaps go bad if you don’t use them? Hi Diane, I have read in a few places that the life span is about 2 years. You have to leave them 4-6 weeks before you use them for all the water to evaporate. I figure, if I can make them just a little less ‘rustic’ I won’t be embarrassed giving them away to family and friends. You are very kind Diane.